According to today’s Wall Street Journal, the recession is the longest we have had since World War II. Additionally, the unemployment rate is approaching the peak seen in the 1982-83 recession and the scope of job losses is the worst since the 1948-49 recession. The decline in GDP is the deepest since the 1957-58 downturn, and Americans haven’t seen so much of their wealth evaporate since the Great Depression. Wow…that’s just what we needed to boost our confidence. On the bright side we have seen some real estate firms start bidding (and closing) on some transactions so perhaps by Q1 or Q2 2010 we will finally experience some type of recovery. 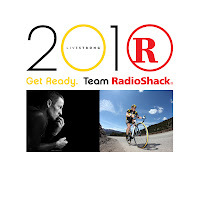 Good news for Livestrong and US pro-cycling and also great to see a retailer stepping up in this economy. Effective today, the Sears Tower is no longer the Sears Tower. Public relations experts said it could take decades for the new name of the Chicago skyscraper to take its place in the public consciousness. Will you remember the new name? AJC reports that Ben Carter Properties’ Streets of Buckhead project is back on track.